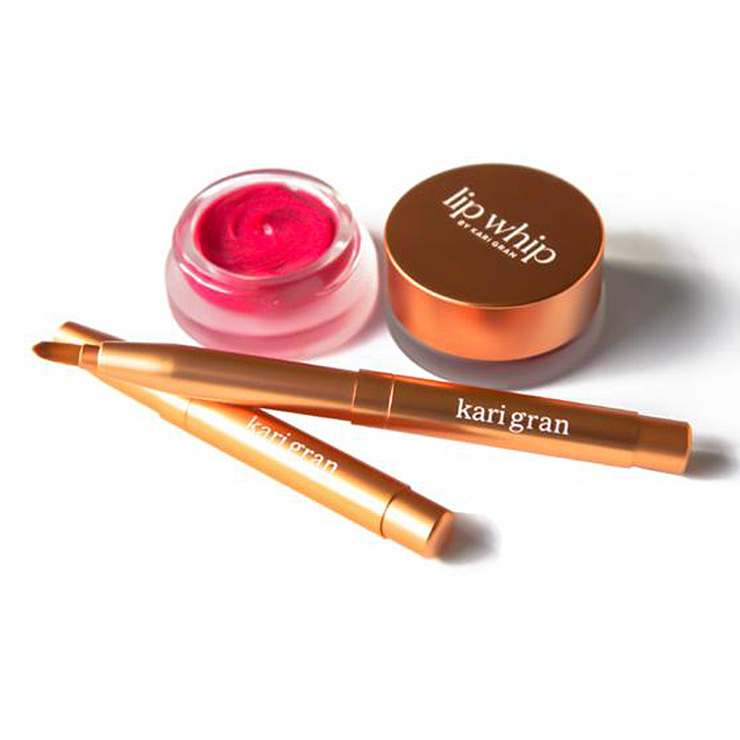 Take lip color application to the next level with the ultimately convenient Kari Gran Lip Brush. Those favorite potted colors glide on with ease when using this perfectly tapered synthetic brush. 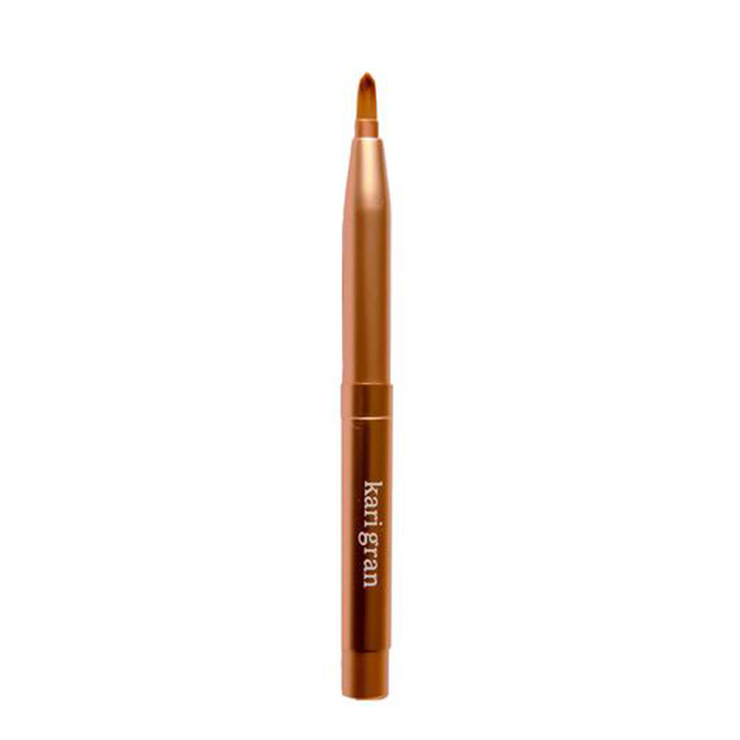 The retractable brush feature makes this tool an ideal on-the-go essential and means no lost or loose caps. The brushed aluminum rose gold is très chic and worthy of display. No sticky, messy fingers, only luxuriously glossed lips. 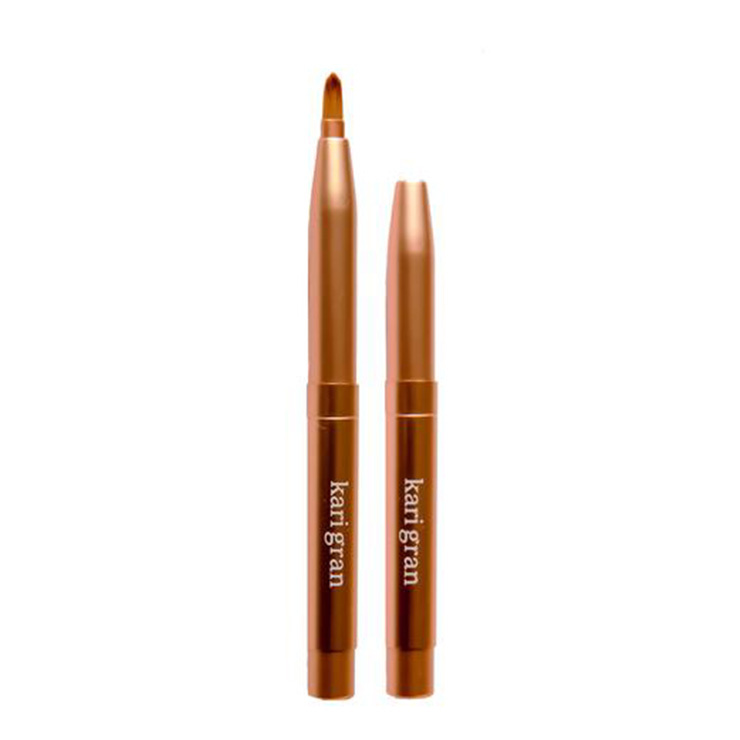 Use with your favorite lip color for a flawless, mess-free application. Perfect for on-the-go touch ups.